FlevyPro (a subscription service from our partner Flevy) offers a comprehensive library of consulting frameworks, presentations, and business templates. FlevyPro recently surveyed its subscribers and learned their biggest fans are essentially all independent consultants or owners of boutique consulting firms. So, Why is this the case? The reason is simple. A core competitive advantage of global consulting firms is they have access to an internal, proprietary database of consulting frameworks and past deliverables. This allows them to deploy inexperienced project teams to clients, because their teams are armed with well-researched and proven methodologies. FlevyPro now provides the smaller firms that same–if not greater–access to a library of consulting frameworks. After the survey, Flevy has since increased efforts to produce more and more consulting frameworks. They are adding several frameworks every week. 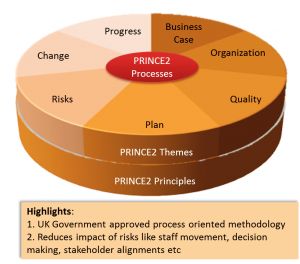 These frameworks cover a wide range of management consulting disciplines–e.g. Strategy/Transformation, Lean/OpEx/Process, Digital, Change, Organization, HR/Talent, IT, etc. They are all based on the research of those global consulting firms (including McKinsey, Accenture, and Deloitte) or renown business academics. 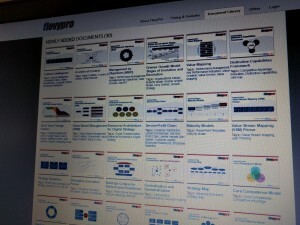 You can browse the full library of FlevyPro frameworks here. In addition to our consulting frameworks, the FlevyPro document library also has 100s of other documents, including those around Lean Six Sigma, Project Management, Risk Management, PowerPoint Templates, Financial Models, and more. You can peruse the full library here. If you have any questions about FlevyPro, please email them at flevypro@flevy.com. Thanks. Remember PPT Lab? It was a subscription service for consulting quality presentations at a fraction of the cost. Well, PPT Lab has sorta re-launched as FlevyPro. PPT Lab, along with LearnPPT, has partnered with Flevy to launch a new subscription service called FlevyPro. 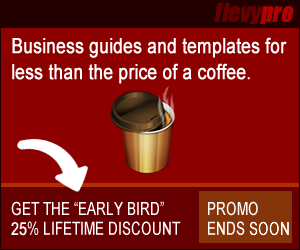 FlevyPro is a subscription service for on-demand business frameworks and analysis tools. Subscribers receive access to an exclusive library of curated business documents—business framework primers, presentation templates, Lean Six Sigma tools, and more—among other benefits. The above link has our discount promo code (PPTTEMPLATES) embedded. In the initial launch of FlevyPro, there are over 100+ documents, including Management Consulting Training Guides, Lean Six Sigma Templates, Business Framework Primers, Project Management Tools, PowerPoint Templates, Audio Interviews with SMB CEOs, and more. Subscribers will be able to submit and vote on requests of documents to be developed or acquired by the FlevyPro Team. You are free to browse the full library here: http://flevy.com/pro/library. In the latest version, it supports 2 additional diagram types: Matrix Charts and Value Chain Diagrams. Below, we will walk through the new functionality. Matrix Charts are perhaps a consultant’s best friend. These are simple and very intuitive visuals, often taking the form of either a 2×2 or 3×3. Established consulting frameworks like the BCG Matrix and GE-McKinsey Matrix are based on this format. The Flevy Tools Matrix chart allows you to create up to a 5×5 Matrix and any combination smaller (e.g. 2×4, 3×5, etc.). Out of all the 12 diagrams supported, this is our favourite — in our opinion, the most innovative of the Flevy Tools diagrams. A Value Chain diagram is modeled after the Porter Value Chain, as defined by Michael Porter. With this tool, you can create up to a 6-chevron “value chain.” For each chevron, you can then further sub-divide it into up to 6 parallel rows/chains. To better understand this, take a look at the parameters input box in the screenshot below. Once you install Flevy Tools, a new toolbar is added to your PowerPoint ribbon. See the screenshot below. Again, here is the download link. It’s a free download! What is Strategy? This 20-slide presentation provides an introduction to strategy, separating out the concepts of Corporate Strategy vs. Business (Unit) Strategy. This 48-slide presentation provides a high-level introduction to Operational Excellence. It explains the four building blocks: Strategy Deployment, Performance Management, Process Excellence, and High Performance Work Teams. This presentation presents a flavour of some of the more necessary change components and associated tools & techniques that will require consideration during any change initiative. This 32-page presentation that explains the Lean management philosophy, based on the Toyota Production System (TPS). The Delta Model is a growth strategy framework developed by MIT/Sloan professors to help managers in the articulation and implementation of effective corporate and business strategies. Here is another massive compilation of PowerPoint diagrams and templates, mostly for us in business presentations. It’s called the Monster PowerPoint Templates Deck. The full documents is 321 slides. See a partial preview below. Looking for other types of business diagrams in PowerPoint? Peruse Flevy’s full library of PowerPoint Templates, updated weekly, here. In 2012, Ron Leeman was awarded Change Leader by the World HRD Congress. He has published over 10 frameworks to Flevy, including a Comprehensive Guide to Change Management. This 191-slide deck contains everything (well almost) you would ever want to know about Change Management. It includes What is Change Management, Change Management vs Project Management, The Challenge of Change, Change Management Models, Ways of Implementing Change, People and Change, Managing Change Resistance, Change Behaviours, The head/Heart/Soul of Change, Change Agents, The Tools & Techniques of Change (inc. Sponsorship, Stakeholder Management and Engagement, Communication, Process Change, Organisational Change, Training, Adoption and Business Readiness, Business Benefits & Continuous Improvement), A Change Story and Success and Failure. Here is a partial preview. View all of Ron’s documents on Flevy here. What is strategy without execution? Merely theory. A successful business requires both a well developed strategy and the ability to execute on that strategy. Many companies develop robust strategies, but fail at operationalizing their strategies into implementable steps. Flevy has just released a free primer on the topic Strategy Development and Strategy Execution. It is a 54-slide deck that discusses 12 frameworks, spanning both strategy development and execution. Topics covered include: Porter’s Five Forces, Consolidation-Endgame Curve, Hoshin Kanri, Product Lifecycle, Consumer Adoption Curve, Balanced Scorecard, Blue Ocean Strategy, BCG Matrix, SWOT, PEST, Marketing Mix, and Organizational Hurdles.